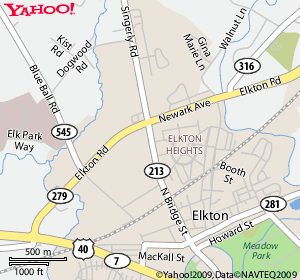 Near the corner of Elkton Road (Rt 279) and Bridge Street (Rt 213). Convenient to I95 and Rt. 40. From I95 travel South on Rt. 100 feet down on the right. 1.77 miles on the left.